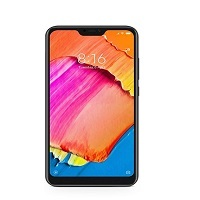 The Xiaomi Note 6 Pro sports 6.26-inch screen an IPS LCD display with screen resolution of 1080×2280 pixels, along with a pixel density of 403 PPI, which offers a crisp and sharp viewing experience. The Note 6 Pro is powered by (1.8 GHz, Quad core, Kryo 260 + 1.6 GHz, Quad core, Kryo 260) an octa-core processor with Qualcomm chip-set Snapdragon 636, along with Adreno 509 GPU which can able to deliver a high performance and smooth graphics. Multitasking would be ease on this device it has packed with 4GB RAM. Note 6 Pro has pair of 12MP +5MP primary cameras sensors which assure tremendous photography experience. 20MP + 2MP camera setup at the front, that can impress the selfie lovers with picture quality and also support for a clear video calling. The Note 6 Pro has a plenty amount of inbuilt storage capacity i.e. 64GB that can store users files and data. Also it can support external memory slot which is expandable up to 128GB via microSD card. The phone is packed with a 4,000mAh Li-Polymer battery that can deliver massive backup for long hours with a single charge. It comes with features like 4G VoLTE, wifi 802.11, Mobile Hotspot, Bluetooth, etc. Also A-GPS available in device which means you can track location of the device. Hello there. I discovered your site by the use of Google whilst looking for a related subject, your site came up. It seems good. I have bookmarked it in my google bookmarks to come back then.